Graham offers a discount of 25% on their first / introductory lesson! My school is **Web Address Removed** Friendly and good humoured teacher. I am empathetic with all abilities and am keen to help people enjoy music. I have taught violin guitar and piano for the last 1o years full time. I run my own small music school and have a string group of 10 players who rehearse each week. I have taught popular and classical music and have experience with pupils from age 5 - 65. I can teach to grade 8 and have a 100% pass rate over 10 years of exams with Trinity and ABRSM. I am an enthusiastic music teacher, always willing to help with other peoples understanding of music and their instrument. I work a lot on the correct posture and technique as well as musical expression once this is established. I am easy going but do obtain progression and results from pupils. GrahamFrom Katelyn (5/5): Graham is an amazing teacher and a lovely person. I came away from my first lesson knowing so much and already being able to play a tune, looking forward to my next lesson. GrahamFrom Patricia (5/5): Graham is great, I enjoyed my first lesson very much. I look forward to carrying on learning with his help. GrahamFrom Acacia (5/5): Picking up a violin again after 33 years was nerve-wracking but Graham was relaxed and put me at ease immediately. He spent the first 20 minutes fixing a few issues with my violin,but allowed my lesson to over run by 20 mins to compensate. Thoroughly looking forward to my next lesson! GrahamFrom Argyro (5/5): Graham is a gentleman, very patient and inspiring. He is also very generous with his time. He is able to mix ways and styles of teaching to keep a busy adult learner interested. GrahamFrom Patricia (5/5): Graham is encouraging and generous with his time. GrahamFrom Chris (5/5): Graham is a great tutor. Kind and enthusaistic. He is observant and has a keen eye for technique but manages to stay fun and positive. My wife and I are both adult "musicians" and Graham was great for us! GrahamFrom Ayesha (5/5): My daughter has been having a violin lessons with Graham for a term now and is really enjoying the lessons and making good progress. I do enjoy formal and informal teaching and sorry if you have the perception of me not being interested . You did say at the end of the lesson, you would be in touch for the next session. 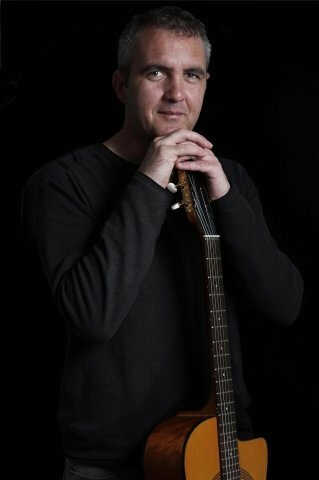 GrahamFrom Fiona (5/5): Graham sets up a relaxing environment to enjoy learning music. He encourages to be creative and experimental while still learning all about music, scales, keys and timing. I am loving my lessons. GrahamFrom Geraldine (1/5): Graham appeared for one lesson and then did not return for the next scheduled lesson. We never received an email or phone call as to why he did not show up.